I didn’t feel like I was missing out because I never knew anything different. Forward to many years later when we bought our first home. 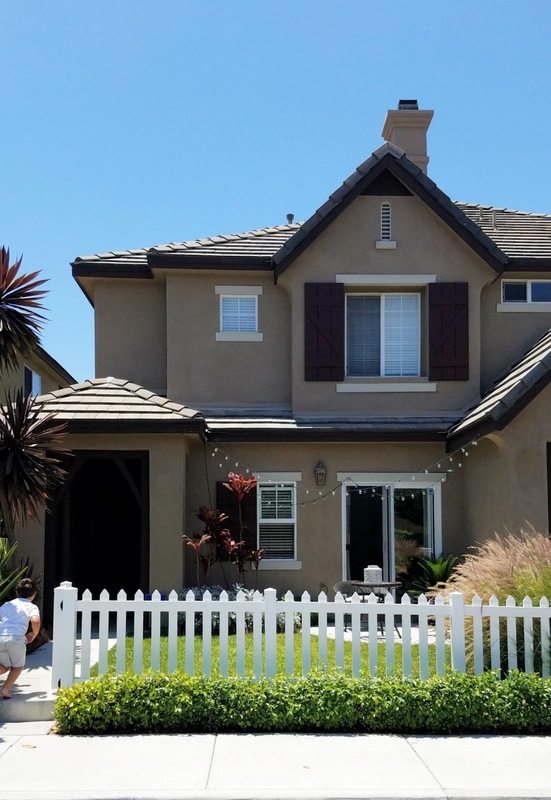 A charming , little two-story duplex with everything our small family needed PLUS a fireplace and mantel. Being the visual person that I am, I couldn't wait to get that mantel styled and to this day that mantel changes every season -twice in the winter. So, you can definitely say I’ve had some practice. 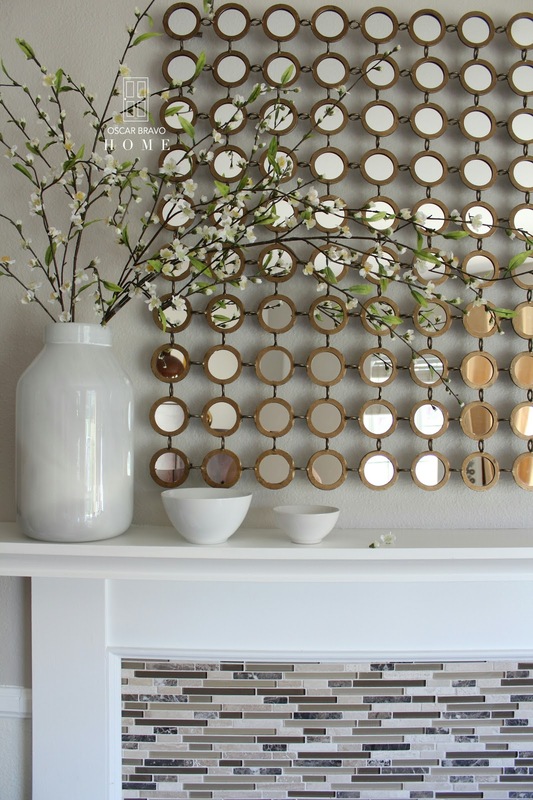 I wrote this post for anyone that feels clueless when it comes to arranging items on a mantel. I will share a few different ways to style a mantel, what to keep in mind when putting things on that shelf and finally, a step-by-step guide on how I styled my own mantel. If you can benefit from any of this then please read on, my friend! I hope I can help! 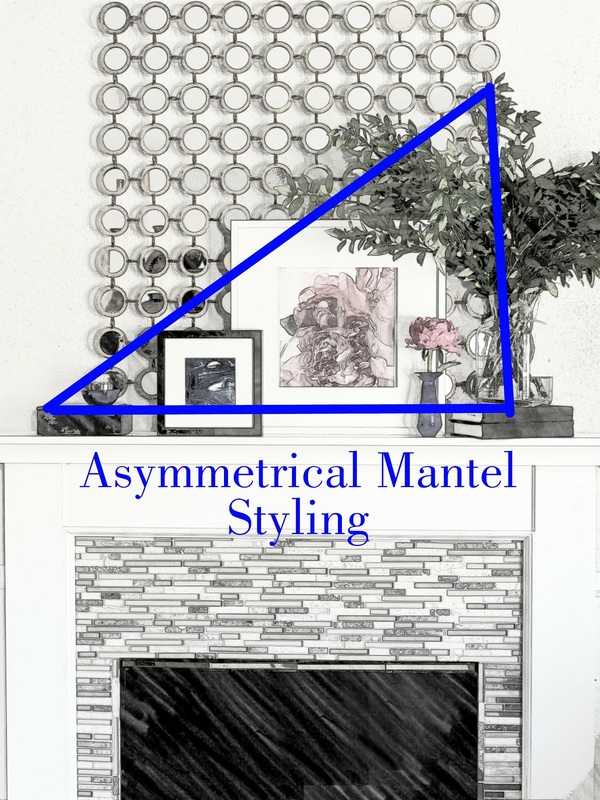 There are a bazillion ways to style a mantel but the 3 basic ways that most mantels are styled are either Simple, Symmetrical or Asymmetrical. All three look different and if styled correctly they all have something in common - Balance. (I will explain that shortly). A simple mantel only needs a couple of items to look finished. One large focal point item, and maybe another smaller item to add interest. 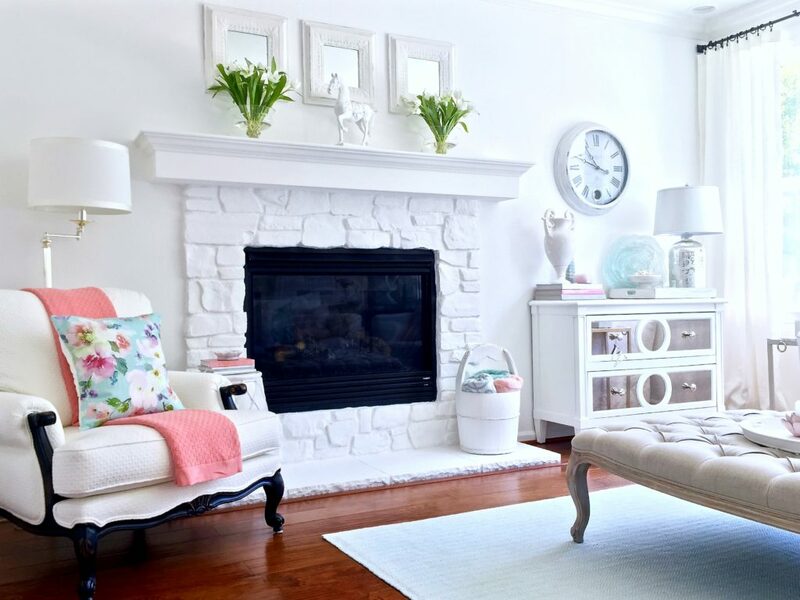 Simple mantels have a clean and modern look to them. For a simple mantel to have impact, focus on the scale. GO BIG. If you’re going to go simple and only use one or two items on your mantel, make those items POP. Sweeping branches and a cereal bowl (ha!) make a simple but grand statement. P.s. 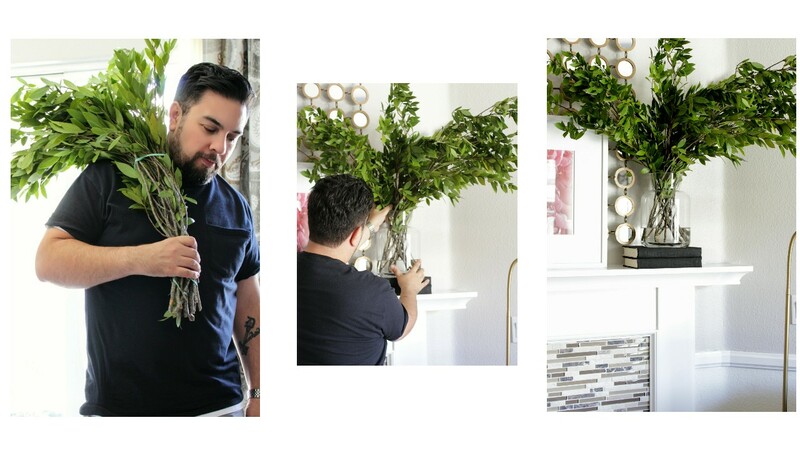 tips on arranging faux branches can be found here. That mirror is beautiful, but it's too small for the mantel. Too much negative space around it. 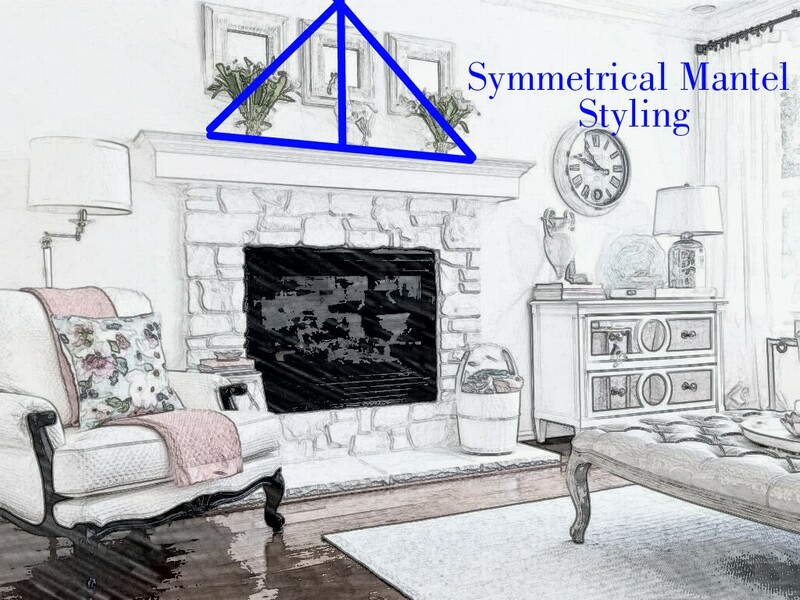 A symmetrical mantel is balanced on both sides with a focal point in the middle. One large item in the middle taking center stage flanked by matching items on either side. Piece of cake, right?! A symmetrical-styled mantel has a more formal and traditional vibe to it, but is the easiest way to create a balanced vignette and will look pretty good as long as the scale is correct. So far, I have covered two ways to style a mantel. The third way is the most popular way to style a mantel, but also the one that is probably the hardest to create. That is the asymmetrical display on a mantel. "Asymmetrical" means that an object is not even on both sides (the opposite of "symmetrical"). An asymmetrical mantel has a more casual vibe to it. Items of varying shapes and sizes are layered together to create an interesting, curated arrangement. I am going to help you create an asymmetrical arrangement on a mantel by explaining how I created one in my home. Of course, there are many ways to make a beautifully styled asymmetrical mantel but I just want to simplify it. I want this post to be a guide for anyone who needs help in this styling department. If that's you, all you need to do is simply copy how I arranged the items on my mantel and boom! You have your own mantel that will be balanced and pleasing to the eye! 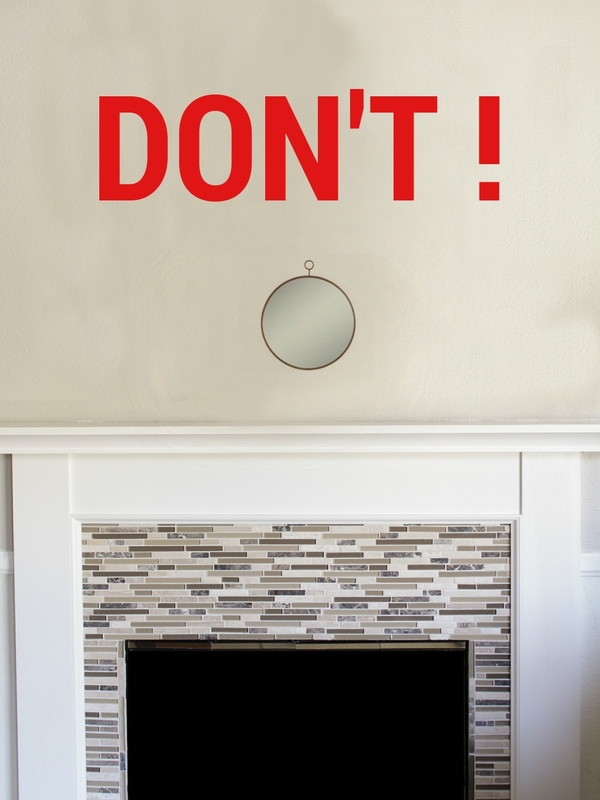 1 large mirror (or piece of art) no wider than the mantel and not smaller than about 2/3 the width of the mantel. Hang your biggest piece in the middle of your mantel. In my case, its my mirror. This large piece grounds your display. Add your medium-sized frame in front of the mirror. Move it slightly away from the middle. This is your focal point, so choose a good print or piece of art! Add a the small-sized frame towards the middle of the mantel, on one side of the medium frame (focal point frame). Stack a few books on the other side of the mirror. Next, we want to add foliage to create depth and to soften all the straight lines and angles in our display. I love using tall branches because they are inexpensive and give a lot of impact. And plus, those leafy stems really freshen up the look of the space. I like to get mine from a nearby flower shop that sells a bunch for about 6 dollars. 6. Fill a large vase with long stems and place on top of the books. 7. Stick a single flower in a bud vase and place in front of your focal point frame. 8. Get your favorite candle and stack on top of your box. Adding the vase in front of the frame breaks up the arrangement and gives it a bit of depth and interest. 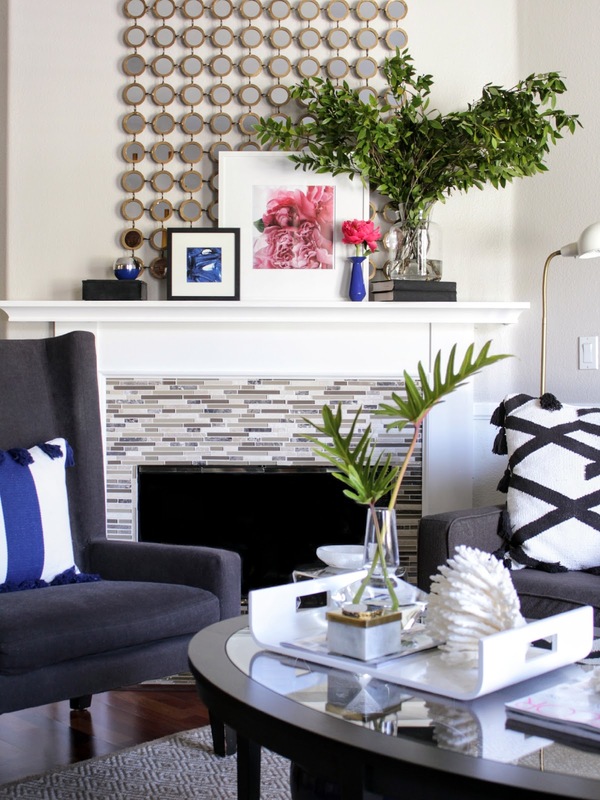 And that's how I style an asymmetrical mantel! Of course, there are MANY ways to accessorize your mantel. You can use this post as your guide or just get a few ideas from it. Just keep in mind to use larger items to anchor your display and also remember BALANCE. I would LOVE to see how you used these tips in your home! Tag me on Instagram and share your mantel and I'll post a few on the blog! 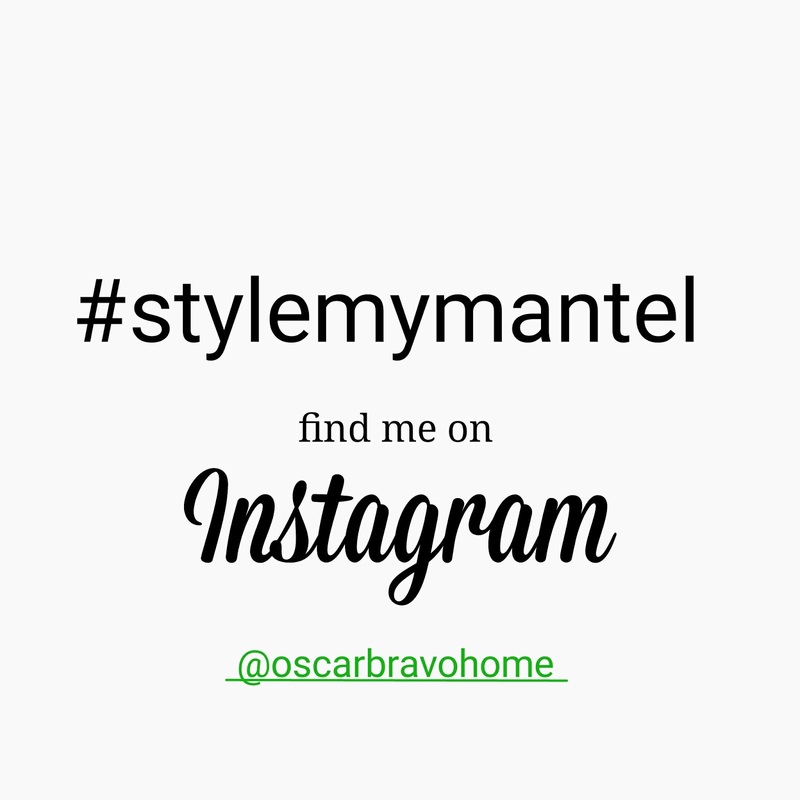 Let's use the hashtag #StyleMyMantel on Instagram to share! Can't wait to see!